Elizzabeth Hope: Shoesday : Something Blue! I found these cuties on Pinterest one day and pretty much gagaed over them. 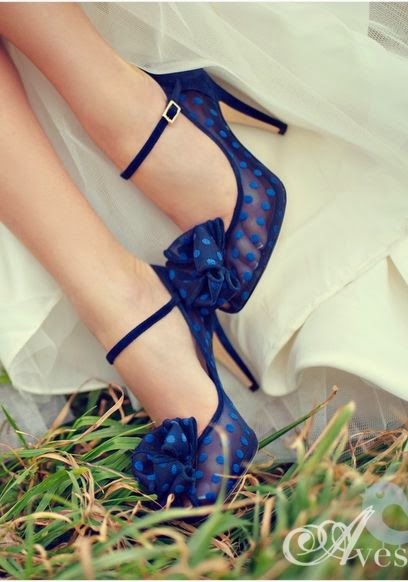 The idea of having your shoes being blue on your wedding day is so cute! They wont clash with your dress because they will be underneath it and it fills in for your something blue! It's a win win for everyone! I don't know where they are from but I thought they were totally adorbs!! I could totally see a bride wearing them! What do you think of the Something Blue twist?! Hi Elizzabeth I have nominated you for The Liebster Award heres the link for it, hope you can take part!